Pool play? Check. And on to the quarterfinals goes the Bulldog volleyball team. With an early-season history of struggling through volleyball’s preferred method of seeding tournament brackets, the second-ranked Artesia High School netters were looking no further than Pool B this morning at the Santa Ana Star Center in Rio Rancho. To be sure, pool play is as high-stakes as it is high-pressure. Two-game matches with no tie-breaker. Scores that start at 4-4 rather than 0-0. End up tied with another squad in terms of wins and point differential comes into play. Essentially, there’s little to no room for error. Good thing the ‘Dogs committed only a handful over the course of their 4-0 run. Artesia started off bright and early against No. 11 Bloomfield, dispatching the Bobcats 25-12 and 25-22 before moving on to their toughest test of the morning: No. 7 Roswell High. Squaring off against a familiar opponent with whom they’d split during district play – 3-2 and 1-3 – there was likely a bit of breath-holding early for head coach Alan Williams, his staff, and the healthy contingent of Artesia fans who’ve made the trek north. But their athletes kept the suspense to a minimum, topping the Coyotes by identical tallies of 25-18. “The girls played outstanding,” Williams said following the matches. “We showed up this morning knowing every point counted, and we played like it. The girls in orange jumped out to a commanding lead in Game One against Bloomfield, reaching the 20-point mark on kills by Malori McSpadden and Bailey Pearce, who then combined for a block to bring about game point. Stacia Martinez served that up, 25-12. Gracie Puentes ended the Bobcats’ first service in the second set with a resounding spike, and Kyrah Gonzales proceeded to serve four straight to make it 9-5. With McSpadden a human shield at the net to keep Bloomfield’s hitters from becoming a factor, Martinez delivered two from the line to give Artesia what turned out to be an important cushion, 12-5. Alexa Riggs provided additional needed breathing room with four points, including a pair of aces, to help the ‘Dogs stay in the lead as the ‘Cats chipped their way back into striking distance. Kills from Pearce and Puentes, and another McSpadden block thwarted a brief Bloomfield rally that brought them within three, 21-18, and Pearce was able to drive the final point home to close out the match, 25-22. 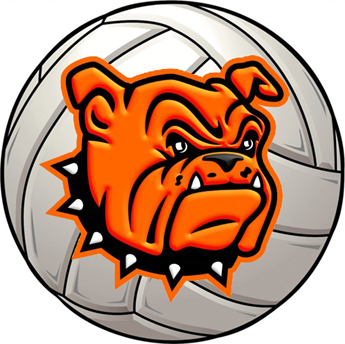 Following a short breather, the Bulldogs took the court against the Coyotes, who rambled out to an early lead in Game One before Riggs was able to turn the tables with four service points to make it 12-8. Roswell went on a run of their own midway through, going back on top 16-14, but Mattie McCombs would serve up a crucial five – aided by a pair of McSpadden blocks and a Puentes kill – to make it 20-16. Puentes quickly ended the Coyotes’ next service and – following a point from Gonzales – McSpadden did the same to their last, then blocked game point in the service of Martinez, 25-18. Martinez then picked up where she’d left off in the second set, logging seven service points amidst an ace and kills from McSpadden and Pearce, to put Artesia firmly in control, 13-5. The rest of the bout would comprise predominantly of side-outs, with Riggs taking the Bulldogs over the 20-point mark, and McCombs and Puentes powering the final hits in the 25-18 victory. McSpadden finished with five solo blocks against the Coyotes, Puentes with four kills and McSpadden and McCombs with three each, Martinez with 10 service points, and McCombs and Riggs with six apiece, the latter including two aces. With the top finish in their pool, the Bulldogs earned a bye through this afternoon’s opening round of bracket play and will take on No. 8 Kirtland Central in a 9:45 a.m. quarterfinal Friday. KC defeated No. 10 Capital in three this afternoon. Also earning byes were No. 1 St. Pius, No. 3 Los Lunas, and No. 9 Goddard.